Homes for Sale in MacDonald Highlands. Rising 2,700 feet over south Las Vegas valley, MacDonald Highlands is a prestigious 1,200 acre guard gated community nestled in the mountains. It features a winding, designer 18 – hole golf course by Jay Morrish and David Druzisky and the well regarded DragonRidge Country Club. Private parks, walking trails, courtyards and pools complete the exclusive experience, making Macdonald Highlands the ideal residential haven for the discerning buyer. Marketed with a “Life at the top” slogan, Macdonald Highlands stays true to its claim offering the very best of privileges, privacy and panoramic views. MacDonald Highlands has all that you can possibly want and more. Within its perimeter residents can enjoy three private parks that cover 10 acres of greens and also include tennis, volleyball and basketball playing areas. Fitness enthusiasts can revel in over 5 miles of jogging trails, the Las Vegas Athletic Club gym and the Gold Gym. Children will enjoy minor leagues a variety of sports such as baseball, soccer, basketball and Pop – Warner football. Adults can opt for cycling, walking or running. 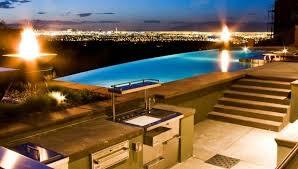 Contact Tracy Drown for Real Estate at 702-245-9341. NEW Modern Custom. 14 x2019; Ceilings, Pocket Doors/Walls, Courtyard, Linear Fireplaces, Porcelain Floors, Wolf & SubZero Kitchen, High Gloss Cabinetry, Waterfall Countertops, Theater, Office, Wine Bar & Glass Wine Room, Infinity Pool & Spa. Full Strip, Golf, City & Mountain Views. Paid Club Initiation Fee & 1 Year Sport/Social Membership. Country Club Lifestyle w/full Amenities: Private Golf Course; Fitness, Tennis & Swim, Clubhouse, Bar & Dining. Absolutely Stunning Estate in Prestigious MacDonald Highlands. Extremely rare SINGLE STORY custom home located behind the double gated section on Lairmont. Boasting 8500+ square feet of luxury with amazing golf course frontage. Onyx fireplace, double island kitchen, stadium seat movie theater, separate party/ event area with party deck and unobstructed views of the Las Vegas Strip. Luxury is all in the details. NEW Modern Custom. Private Bluff Location. 16 x2019; Ceilings, Pocket Doors/Walls, Linear Fireplaces, Porcelain Floors, Wolf & SubZero Kitchen, High Gloss Contemporary Cabinetry, Waterfall Countertops, Theater, Office, Wine Bar & Glass Wine Walls /Cellar, Courtyard Pre Wired for Smart Home Automation,40Ft Infinity Pool & Spa. Full Strip, Golf, City & Mountain Views. 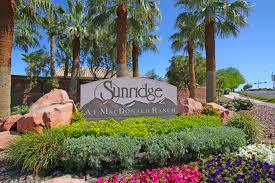 Championship Golf Course;Fitness Center, Tennis & Swim Complex, Clubhouse Bar & Dining. NEW Modern 1 Story Custom. 14 x2019; Ceilings, Pocket Doors/Walls, Linear Fireplaces, Porcelain Floors, Wolf & SubZero Kitchen, Contemporary Cabinetry & Countertops, Office, Wine Bar, Formal Dining, 50Ft Pool, Wet Deck & Spa. Full Strip, Golf, City & Mntn Views. Richard Luke, AIA. Paid Club Initiation Fee & 1 Year Sport/Social Membership. Completion Date Q2 2019. Country Club Life Golf Course; Fitness, Tennis & Swim Complex, Clubhouse Bar & Dining. Full Strip Views, 75 x2019; Lap Pool & Infinity Spa, Wine Bar, Theater, Gym, Office, Outdoor Kitchen & Fire Lounge. Soaring 14 x2019; Ceilings, Pocket Doors/Walls, Linear Fireplace, Porcelain Floors, Wolf-SubZero Kitchen, High Gloss Cabinetry, Waterfall Countertops, Richard Luke, AIA. Paid Club Initiation & 1 Year Sport/Social Membership. Opportunity to Select Finishes & Personalize. Current Price is Pre-Completion Incentive Pricing. This former home of a celebrity includes all a celebrity could ask for including a floating walkway, magnificent great room, state-of-the-art theater, steam shower, sauna, elevator, and 6 car garage. The resort-like backyard is tropically landscaped and includes an infinity edge pool, outdoor living room, outdoor kitchen, and sunken fire pit. The master alone is 2700 square feet with a terrace that overlooks the city lights. Must see! !